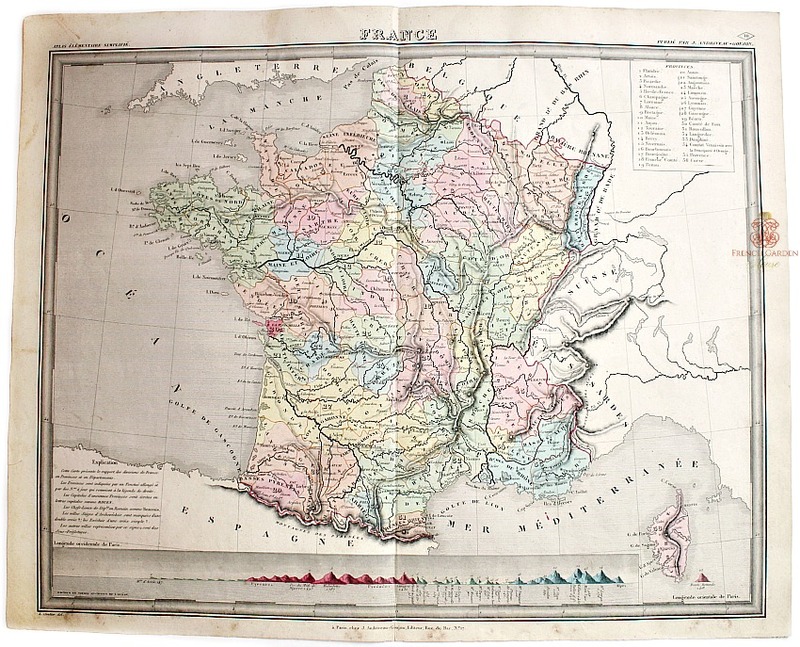 Antique rare larger size Map of France, hand colored lithograph, this is a highly collectable antique map by J. Andriveau-Goujon. The full title is France. Atlas Elementaire Simplifie. Publie par J. Andriveau-Goujon. E. Soulier del. A Paris, chez Andriveau-Goujon, Editeur, Rue du Bac, No. 17. Printed on Cream paper, blank on the reverse. Relief is shown by hachures, there is a diagram of mountains shown across bottom, and a detail of Corsica on the side. 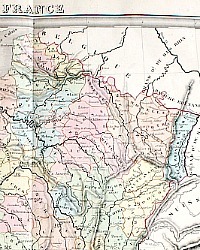 List of provinces are keyed to map, they are colored by department. So decorative, will look stunning in your French country rooms, a gentleman's office, library, or anywhere you want a touch of French charm. 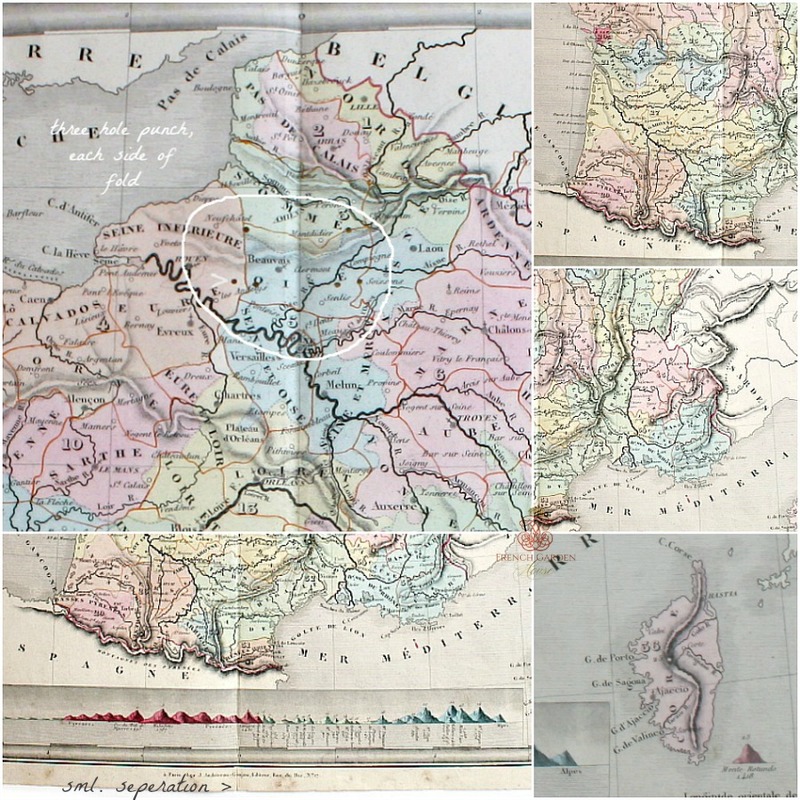 In good antique condition, this is the large folio size, there is a fold in the center as shown, aso six tiny holes, a "punch" most likely done by a library at some point, as "borrowers" had the habit of tearing out these costly maps from the books they were a part of. Due to the hand coloring, each of these was an original work of art. To be expected in prints of this age, there may be a few characteristic areas of foxing, there are some small edge abrasions as shown, this print is in good antique condition. Perfect to frame, measure 20-1/2" x16-1/2".